March 22, 2015. The wedding images of Brent and Sonja taken at Jupiter Beach Resort in Jupiter, Florida. 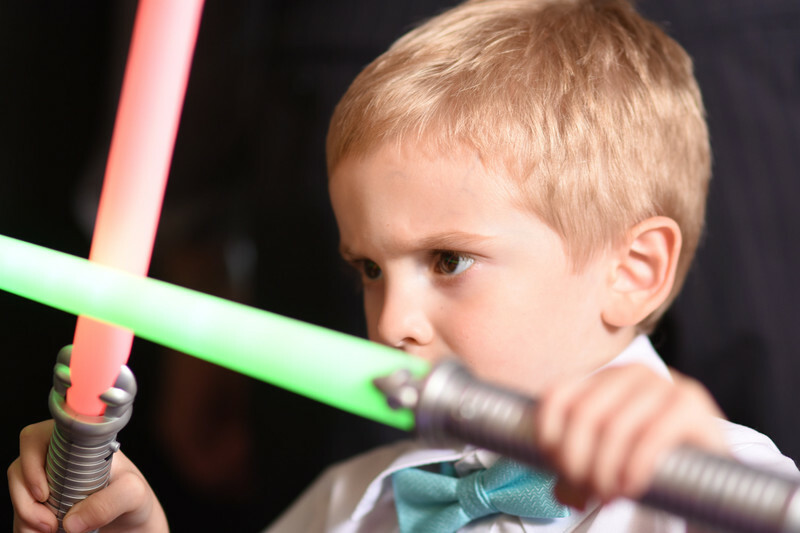 Shown here is a young child playing with star wars themed light sabres during the reception party.